Located in West Newbury, Ma. this was a total bath remodel of a 1980's bath. 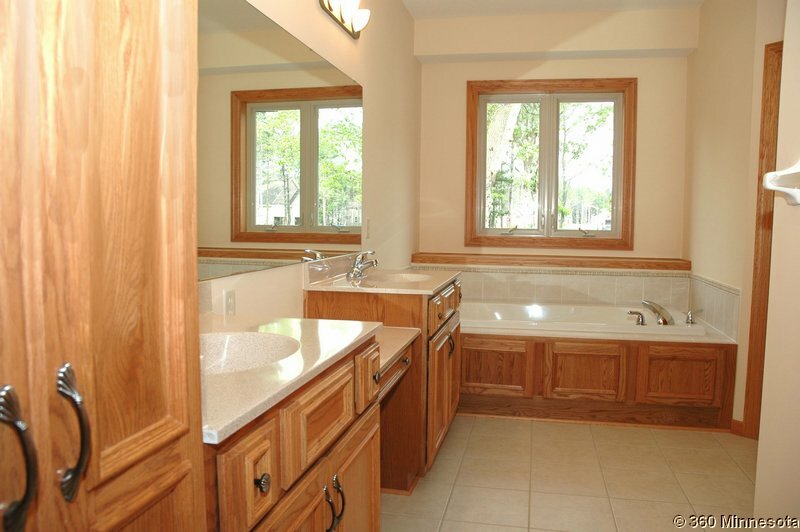 Includes dual sinks with lower countertop for make-up station. Full height storage tower to match vanities. Enlarged window installed to compiment Whirlpool tub with front panel made of same cabinetry as vanites. Not shown is contempory low profile 1 1/2 gal flush toilet and stand up recessed cuastom shower unit. Loc ated in Newburyport, Ma. this is a total bath remodel. Because of the small space provided, er decided to eliminate the under sized tub unit and repkace it with a custom size stand up shower stall with glass door on front. A custom recessed toilet to add floor space along with a contemporary vanity and recessed medicine cabinet. White tile flooring.